Large 180, the line Marcato Classic, is one of the first car models made by the Marcato pasta. With Wide 180 can obtain a sheet 180mm wide, fettuccine (6 mm), tagliolini (1.5 mm) and its controller with 10 positions allows you to choose the thickness of the dough: 4.8 mm to 0.6 mm. This machine does not allow the attachment of extra accessories Marcato. 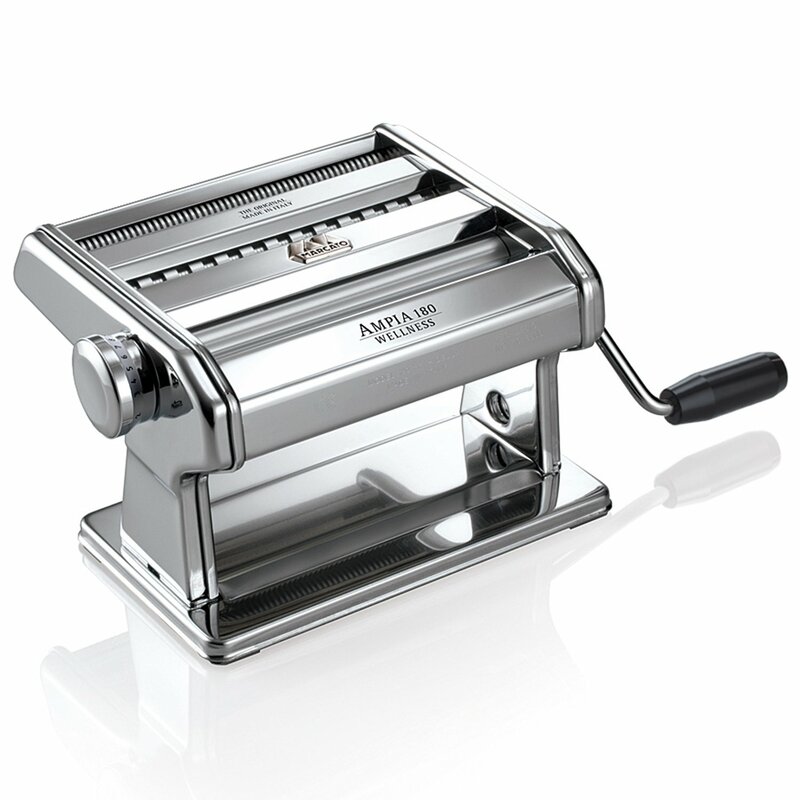 The pasta machine is equipped with a clamp to attach the machine to the table and its crank. Thanks to a convenient bayonet mount can easily connect to Wide 180 engine PASTADRIVE and make faster and easier your work. Wide 180 is made of chrome steel rollers in anodized aluminum alloy to not release any metal on the pastry. The compact design that expresses solidity and robustness, combined with the measurement of 180mm rolls, make Wide 180 a secure machine and quality. To Recieve updates and possible rewards for Marcato Ampia 180 please sign in. To Recieve updates and possible rewards for Pasta Maker please sign in.